Find out which type of Pilates is best for you! Home/Uncategorized/Find out which type of Pilates is best for you! So you’ve heard that Pilates is amazing for your body. Celebrities everywhere have been doing it for years, and nearly every professional sports teams do some sort of pilates. You’ve probably heard success stories where people eliminate aches and pains in their body; especially back, neck, or shoulder pain, or even just getting their body to move well and feel great every day. So we don’t need to tell you how great pilates is for your body – you already know that. And you’re keen to start your Pilates classes ( it is the new year after all and there is no better time) but which type of pilates should you do? Well, not all pilates is created equal and it all depends on what you are wanting to achieve. So you don’t risk getting injured or disappointed that you have wasted your time and money on the wrong type. Pilates is often described as intelligent exercise. Why? Pilates is a controlled movement whilst emphasising a strong mind-body connection. If you have an injury such as back or neck pain – I’ll explain later on why this is so important. So the movements tend to be slower, more fluid and graceful. Pilates has for decades been the staple exercise regime of ballet dances as it teaches them to move their body with ease. Pilates builds your body from the inside out. If you have sound foundations ( and we can loosely use the term core meaning your pelvis, abdomen and chest/back) then the rest of your body can be strong and resilient. When you place too much stress on your body, and the foundations are not solid, you are more likely to injure yourself, whether it be on the sporting field, in the gym or just in everyday life. Many people who have injuries and have tried to get stronger by lifting weights, often fail because their foundations are weak. They falsely believe that they have to get strong, but in fact, they simply have to slow down and work on their foundations before trying to get strong. We see this with athletes every day in the clinic. Pilates is also about ensuring your body has its ideal alignment or posture. Pilates will teach you to sit and stand tall which allows correct breathing and to make you feel more energised. Today, we spend so much time sitting that we end up slouching for up to 12 hours a day. Pilates can help reverse these changes quickly by building strength and resilience in your core and postural muscles to help you get through those long days at the office. An upright posture that can move with ease in all directions will not let you down. So what is the difference between mat pilates, fitness reformer pilates, and clinical pilates? And which one is right for you? The original pilates developed by Mr. Joseph Pilates was designed to help rehabilitate injured soldiers after the war. He devised equipment to help strengthen specific muscles around the body, in a way that was more about quality and control of movement and perfect posture. He had such amazing success rehabilitating injuries that it has become a worldwide phenomenon. The key to success in this area is approaching things with a sound knowledge of how the body works, and incorporating intelligent exercise to help achieve a particular rehabilitation goal, such as better core strength, better flexibility, effortless movement, pain relief, improved posture and building a stronger and more resilient body. Today we call this clinical pilates. It is instructed by osteopaths or physiotherapists, who have additional qualifications and training in clinical pilates. progressing into another higher-level exercise than clinical pilates is the right option for YOU! 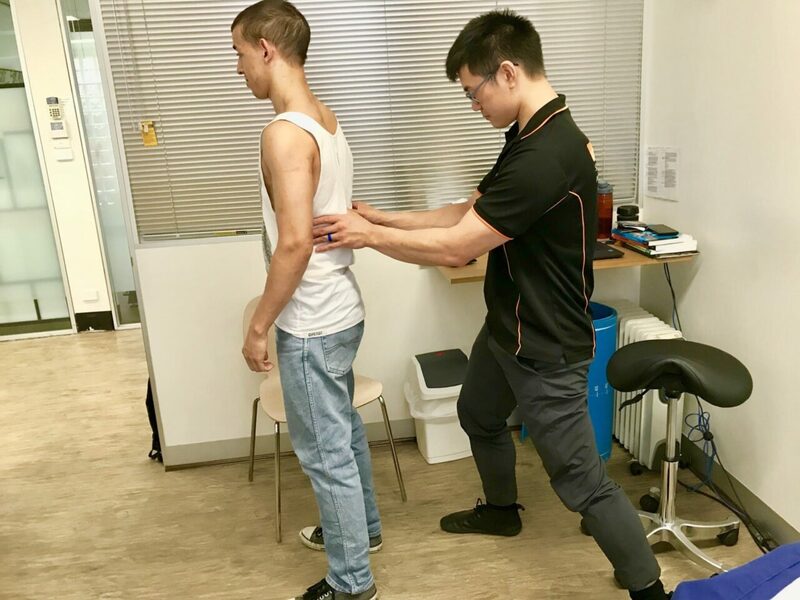 As you will have a personalised program that is created for you based on your goals and what is wrong/right in your body – you will have a Clinical Pilates Assessment with an expert physio or osteo. Then they will take you through your program one on one to make sure you are doing the exercises correctly. Then you can join the group classes (normally a max of 4 people in each class so you have loads of 1 on 1 time with your practitioner). When you’re dealing with injuries, aches or pains, or you’re a mum getting back into exercise this is the option that will get you the best results without the risk of being injured or not making any progress at all. Unfortunately, anyone can use the term “clinical pilates”, however it is generally used by healthcare practitioners such as osteopaths and physiotherapists. There are no requirements as to how much training osteo or physios need to do before they can instruct classes. At Premier Sports Medicine we have our own in-house training program that starts with a six-week intensive training program and continues weekly. We never stop learning how to be the best Pilates instructors in Melbourne. We have trained over 100 osteopaths and physiotherapists to deliver high-quality clinical pilates instruction. If you’re suffering from aches, pains or injuries, or simply want the best in Melbourne, then Premier Pilates is right for you. 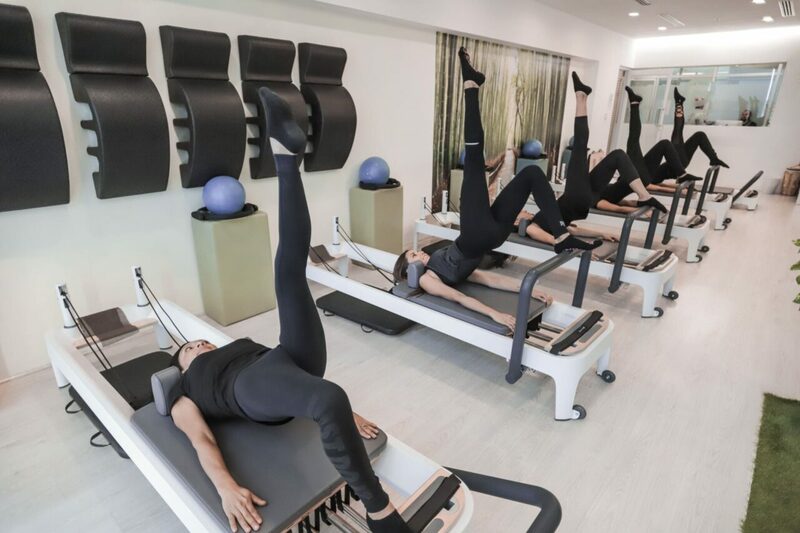 If you are thinking about starting clinical pilates at a studio, I would always ask – what are you pilates qualifications and how many hours of Pilates training have they completed. You may be surprised at how little some “clinical pilates” instructors do. Nowadays, many types of pilates have come into the scene among Fitness-based exercise regimes. One is Mat-based Pilates, where you use only your body weight to perform exercises to strengthen your core. The second is Reformer Pilates, which is similar but using equipment to increase the variety of exercises that you can do. Both of these options are fantastic if you have great foundations to your body already and no existing injuries, aches, and pains, and you want to get a good workout (especially around your core). They are general fitness classes whereby everyone does the same exercise, no matter what your age, fitness level, strength or previous health history. So it can be great if you are already fit, and have a good foundation to build on. I currently do 2 types of pilates and for different reasons – first I do clinical pilates with my team at premier sports medicine to keep my body working at its best. Every session they asses my body and tailor exercises so I can keep it working perfectly. I also do Mat Pilates for “core work” to build strength and endurance in these muscles which again helps with my sports and chasing my kids around the park. SO which one is right for you??? All types of pilates are great – just choose the right one for you! As well as our love it or leave it to guarantee – try our clinical pilates risk-free – if you don’t love within the first 2 weeks we will give you your money back and a free massage!